If the Prime Minister was making any attempt at logic yesterday, his record of contradictions, inconsistencies, gyrations and logical contortions came in his way. It is supremely ironic that he was complaining he could no longer handle other people’s hypocrisies when his are so manifest. He complained about the bible-bashing, procession-going Catholics who are celebrating Easter right now and reflecting on what they consider the ills of the world. Those ills, as they see them, include abortion because it interrupts their uncompromising definition of human life and when it starts. He did not go into a debate on whether abortion is acceptable or not, and I won’t either. I don’t think there’s much point in having a debate on a subject that is nowhere near the political agenda of any party in or anywhere near government. When people in politics tease us into speaking about things that are not likely to happen in the near future, it is because they don’t want us to talk about what is happening now. Pardon me, but that trick is too cheap for me to fall for. But the Prime Minister chose the reference to abortion precisely because it is provocative and because it excites the rather easily excitable who study every word of his for clues that he’s fulfilling their prophecy and proceeding to introduce abortion. Instead he used the sensitive topic as a pole for the rhetorical vault of criticising those bible-bashing, procession-going Catholics who are not willing to compromise about the sanctity of life from conception to birth but will not care too much if we are talking about the interrupted life of born, black migrants stuck on the high seas somewhere between Africa and the safety of our harbours. If that’s all he said, the point would be appreciated. But here’s the contradictory, inconsistent, gyrating, illogical contortion. His disgust with this hypocrisy was the basis of his argument to justify his decision to block born, black migrants stuck on the high seas somewhere between here and Africa from approaching the safety of our harbours. Joseph Muscat is the lead racist in a country where racial prejudice is now mainstream. The measure on which he sits atop does not compare racism by the extent of nastiness of the rhetoric used. It is hard to beat Norman Lowell at that. But the indicator that is far more useful is the one that measures the impact of the racist views one holds on the lives of others. The Prime Minister has a great responsibility and a great power to decide on the lives of others. And Joseph Muscat consistently takes decisions that put the lives of people – black people – in clear and present danger. The report goes on to quote the Prime Minister: “’We have to accept that in today’s society, we face pressure. But we won’t tolerate a situation where Malta gets portrayed as being to blame for this situation,’ he said. Another 64 people on the island would not have made a difference, he said, adding however that there was a principle at stake. Here is the Prime Minister’s own insufferable hypocrisy. 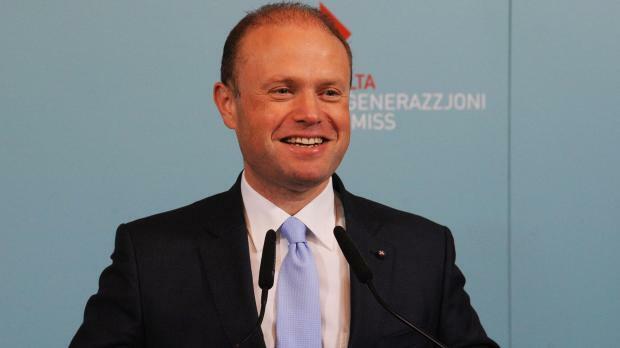 All governments face dilemmas and Joseph Muscat openly declared what his ranking of priorities is. The ‘principle at stake’ was not securing the lives of the migrants but ensuring the lives of others do not become our problem. He does go on to applaud himself for not being quite as bad as Matteo Salvini who solves the problem by shutting down harbours and letting migrants fend for themselves. Perhaps it should be reminded that Matteo Salvini is a profound specialist in speaking (with a revoltingly saccarine, barely velied undertone of sarcasm) about the sympathy he feels for the misery of suffering migrants. But any sympathy that leads him to allow people within his reach to drown outside his waters is unmeant, unfelt and untrue. Yes Matteo Salvini is an atrocious example. Our neighbours are now governed by an autocratic, racialist fascist. It is relatively easy to behave better than Matteo Salvini, but it should be neither a consolation, far less even a moral gold standard or a statement of principle for our own governors. The Prime Minister could argue with some mortification and regret about the burdens of realpolitik. But instead he uses his policies that exacerbate the mortal risk to human lives as a tool to whip others as hypocrites. Some might find themselves disagreeing with the categorical and blanket objection to abortion in all circumstances by Catholics. Call it what you want but you definitely cannot fault their policy for inconsistency. The blanket ‘life first, in all and every circumstance’ may be horribly frustrating, even unfair in specific situations of moral dilemma but you must at least credit them for being unambiguous. That lack of ambiguity clearly demands of Catholics a consistently uncompromising defence of human life no matter the circumstances. 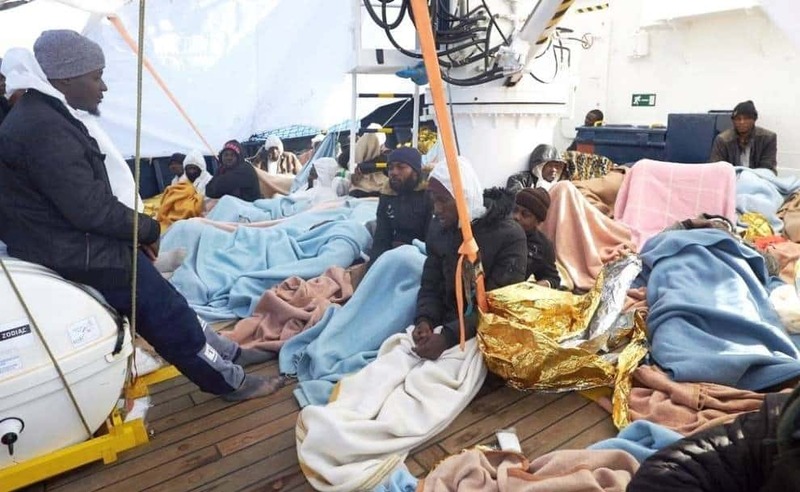 It is fair to expect that those that would object to abortion in whatever situation imaginable, should not tolerate a situation where other “principles” come in the way of deciding whether to allow a boat with migrants saved from drowning at sea to enter into a safe harbour. Anyone who argues for the inalienable rights of embryos but is indifferent about the risks to the life of a fully grown, drowning African is a hypocrite that needs calling out. But on that metre that measures the practical consequence of racism, the Prime Minister is in no position to accuse anyone else of hypocrisy. 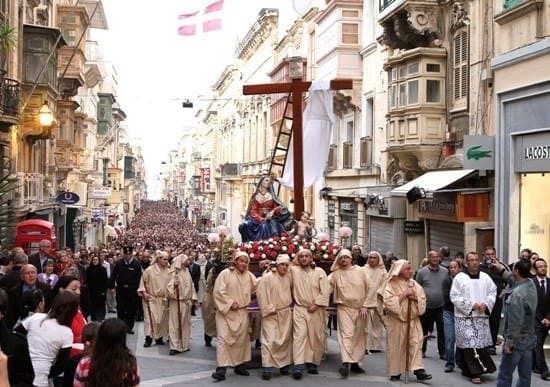 Consider Joseph Muscat’s remarks when challenged about the killing in Birżebbuġa. (I wrote about that in an article in yesterday’s Sunday Times). He refused to be drawn into whether the murder was a hate crime or not, learning nothing from the example of the New Zealand Prime Minister that so recently reminded the world about the role politicians have to lead understanding between people of different race, creed or background, not exploit the divisions between them. His remarks were an exercise in doublespeak particularly considering that as he spoke about the killing in Birżebbuġa he was forcing migrants to remain barely afloat outside our harbours. You can hardly think any other principles could come in the way of understanding that.